Will Lowe's Blogtails: Perry or Pear Cider...? Pear Cider Article Over the past few years the popularity of pear cider has rocketed, out-performing almost every other alcoholic drink sector on the market. 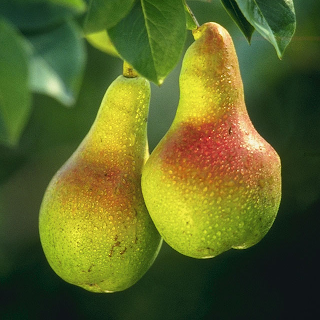 But pear cider isn’t a new invention – far from it – there are records of pear cider production in England going back to 1580. So why has pear cider suddenly come into fashion? The clue (and arguably the reason) is in the name. 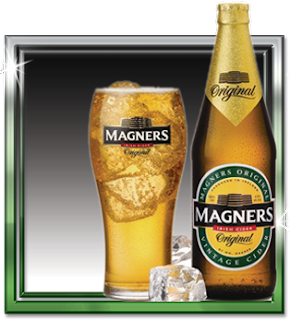 In the past decade cider has made a comeback of astronomical proportions, driven in no small part by the success of Magners. New packaging, a new serving suggestion, and an advertising campaign aimed squarely at the 20+ young professional market lifted cider from its slightly dubious connotations and into the mainstream. Gaymers and Bulmers swiftly followed suit, and before long you couldn’t move through a beer garden anywhere in the country without hearing the clink of ice floating in pint glasses. The bandwagon proved to be an appealing one: in a market place where beer was declining, and even the number of people drinking alcohol of any kind was its way down, cider moved from strength to strength. Soon, the market was flooded with ‘me too’ brands. Some laid claim to decades or even centuries of history. Some played on their organic credentials. Some went the more obvious route of price-fighting. A few small batch producers pushed prices back upwards, focussing on quality and provenance. With the market showing no signs of slowing, it was clear that the parameters would have to be widened. And widened they were. Perry saw its chance to make it as a household name, and geared up for launch. Sadly, the unrivalled success of cider remained unrivalled. No-one knew what perry was, much less what they were supposed to do with it. 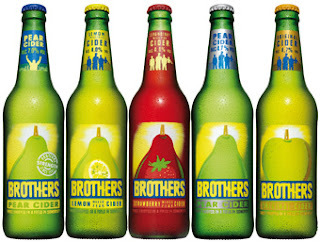 Until, that is, the clever folk at Brother’s decided to describe it as ‘pear cider’. Suddenly, all became clear. Sales grew more than ten-fold in less than two years. Young drinkers were captivated by this new drink, and their parents giggled amongst themselves at the seemingly constant cycles of fashion. Pear cider, it seems, has been around before. Whilst many of the people drinking it nowadays are very much unaware of it, the names of Babycham and Lambrini were the brands behind the success of perry’s previous heyday. This time around, however, brands are engaging with their customers on a different level. Adverts have an educational element to them, drawing attention to their production methods and provenance. This avenue could well build steadier ground for the category: England is responsible for some 70% of all perry produced in the EU, and we have protected geographical indications such as wine enjoys in places like Chablis and Champagne. Gloucestershire, Herefordshire and Worcestershire can all make perry and give their name to a style which can be copied nowhere else in the world. Which brings us to the question: what is the difference between perry and pear cider? There are various levels on which this question can be answered. The simplest would be to say that pear cider is simply the new name for perry. Sadly, the simple answer doesn’t give us the whole picture. The particulars of the definition are the subject of some debate. CAMRA (Campaign for Real Ale) describe perry as “a drink so difficult to find that many people don’t even know of its existence”, a definition which certainly doesn’t marry with the drink we have been talking about to this point. It is further defined as being made in exactly the same way as cider, but from the perry pear. That is to say, it must be the product of fermented perry pears and nothing else. This in itself is problematic, since the perry pear is notoriously low yielding. Pear cider, then, must mean something else. Tellingly, entering the term into the CAMRA websites search bar returns no results. This is perhaps explained by their description of pear cider as being merely a “pear flavoured drink” made by large, industrial cider makers. The flavouring, in this case, comes from concentrated pear juice. CAMRA are not the only body to offer a definition though: the National Association of Cider Makers use the terms perry and pear cider interchangeably. They simply specify that perry (and pear cider) must contain no more than 25% apple juice – a direct inversion of the rules of cider production, which must contain no more than 25% pear juice. Deciding who’s right in a debate like this requires defaulting to a higher authority, and I’m not it. Generally HMRC are pretty specific about such matters, as with anything concerning tax, but in this case a little interpretation is required. In their notice covering the regulation of cider and perry production (HMRC Reference:Notice 162, if you’re interested) they state, helpfully: “Where we say 'cider' in this notice, we include perry and pear cider.” That is the one and only mention of pear cider in the entire 68 page document, leading us to the conclusion that they do not differentiate between the two terms. Perhaps CAMRA are reluctant to officially recognise a product which clearly does not adhere to traditional production methods. Not only are the major brands of pear cider produced from concentrate, to add insult to injury that concentrate is often imported. This would understandably not sit well with an association dedicated to the centuries old craft of brewing. 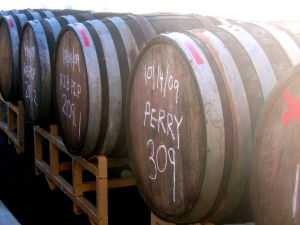 Definitions aside, pear cider, perry, call it what you will, is making a convincing come back. And the last time it did so, it was under a yet another guise. People seem to be easily convinced to consume the drink, but as reluctant now as ever to engage with its traditional name. But when the brands involved are using such modern approaches to producing and marketing their product, a modern name seems appropriate. Is this stuff ‘the real deal’. Well, in my humble opinion, no. But then the same could probably be said of the vast majority of beers currently on the market.